AAR S-2034: Car Builder Certification or Conditional Certification. RMRR/UF has submitted its application for AAR S-2034 and is pending AAR approval. 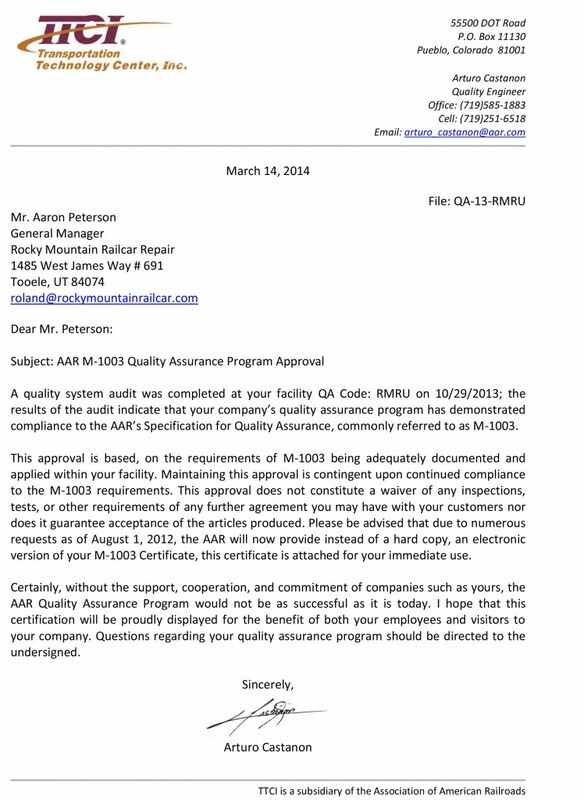 AAR M-1003: Quality Assurance Certification. The certification was renewed in October of 2013 Valid through October 2016.